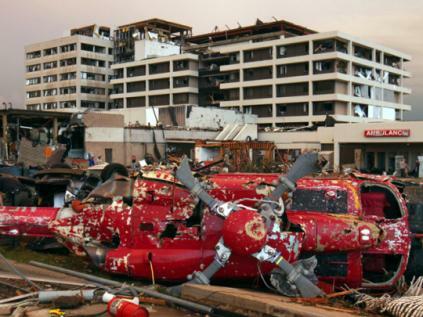 When Joplin, Mo., was hit with a massive tornado, I knew my community would react. Even though we’re nearly 250 miles away, many people in Columbia and mid-Missouri are either Joplin natives or have family there. My newsroom’s normally local-focused Facebook page quickly became a clearinghouse for updates about how mid-Missouri could help the tornado-ravaged community. Fans are using the page now to share news, photos, videos, information on relief efforts, and in general, to connect with each other in a time of crisis. The efforts grew organically on our page. The KOMU online audience is already very interactive. We have 10,000+ fans and, on average, 7,500 users have some level of interaction with us on a weekly basis, according to Facebook Insights. I encourage sharing and conversations among everyone in an open and transparent way. I and my web team pay attention and are constantly interacting with our fans. Over time, a relationship has developed — the kind that’s enhanced during severe situations like what happened in Joplin. When the tornado hit, our Facebook fans knew they could trust us to coordinate and share important information there. So that’s just what we did. Since the tornado, I’ve been on overdrive. In the last 24 hours, I’ve gathered information on social media to share on our website, KOMU.com, and on Facebook. I’m gathering as many relief drives as possible to share on Facebook, KOMU.com and the newsroom’s Twitter page. My goal is to share and gather data from the social spaces where KOMU’s audience already interacts. When the first information came out on Joplin, KOMU-TV was on the air with details about severe weather in our area. Our meteorologists shared images live that were posted on our Facebook page using an iPad. Anytime we show live Facebook content on television, our interaction online starts to jump. I was working from home, but knew we had a spark of community activity on our Facebook page. I and a few others working in our newsroom started posting links from our website to Facebook. One of the most viewed pages is a collection of tweets curated on Storify. It’s had more than 8,000 views in less than 24 hours and was shared on Facebook more than 165 times. These kind of collections continued to bring people to our Facebook page to interact and share. A number of people wanted to know how they could help. We posted immediate links and information about how medical providers could offer their expertise and how relief agencies were trying to coordinate assistance. I wrapped up my oversight of the page around 1:30 in the morning with a dramatic video on YouTube. It created a stir, even though it was very late at night (or early in the morning, depending on your perspective). Some of the conversations I had with our Facebook audience led to our morning show coverage. A woman who posted a picture about a tree that crushed her van became the subject of a live report the next day. Not only did we have continuing requests on how our Facebook users could help, a growing number of people had information about blood drives, fundraisers and donation sites. Not only did I take the time to thank users for the information, I added a link to my Facebook profile by typing “@Jen Lee Reeves” to identify myself as the person commenting as a representative for KOMU. The best development with Facebook pages is the “Notifications” link that helps me keep track of any interactions on the page. I’m able to see new posts, likes and comments on items that might be hours old on the page. Almost every time I respond, I add that link to my Facebook profile. Near the end of the day, I slowed down my obsessive oversight of the page. One member was unable to find a donation location, and other page members jumped in with some details. I was able to research a few extra details and add to the conversation. After spending so much time inside the Facebook page, I have a few things I’d love to have the next time I’m helping manage a crisis. The ability to post notes. Facebook groups have a wonderful ability to let members create and contribute openly to notes. This would have been much easier to manage with our collection of relief efforts. I’m helping manage a community Facebook page that allows notes. My “television station category” doesn’t get notes in Facebook. The ability to create a call to action at the top of the page. I had to repost a number of helpful links and information because our Facebook users kept asking the same questions. It would have been great to have the main relief information easily accessible. Photo tagging needs to be easier. I know this is a new feature where Facebook users can tag a page they like. I had a number of people tell me they weren’t able to tag KOMU to a picture. I’ve also noticed this service is spotty. The ability to tag posts from a mobile app. When I left the newsroom, I had to add to the comments on the KOMU page without the ability to identify myself. Many other Facebook pages focused on Joplin relief, especially one built solely to offer updates and relief. KOMU was able to focus on the efforts in mid-Missouri. The online relationship we had before the crisis was able to grow in this time of need. Hopefully, it’s an example of how a commitment to social media can help encourage ongoing conversations between a newsroom and its community.